Summary: Join us for a book group at the South Park Neighborhood Center. Everyone is welcome. This month’s title is "Cold Comfort Farm" by Stella Gibbons. The Highly Unusual Reading Society (T.H.U.R.S. ): Cold Comfort Farm by Stella Gibbons and Lynn Truss. Stella Gibbons, La hija de Robert Poste. Stella Gibbons was born in the Hampstead area of north London, the daughter of a melodramatic family. Her father was a respected physician, but violent and tyrannical. She attended North London Collegiate School for Girls and University College London. In 1924, she began working as a journalist for the British United Press news agency and later wrote for publications such as The Evening Standard and The Lady magazine. In 1933, she married Allan Bourne Webb, an actor and vocalist, with whom she had a daughter. Her first published poetic work was the collection Mountain Beast (1930), but she attracted enduring fame with her amusing, satirical novel Cold Comfort Farm in 1932. It won her the prestigious Prix Femina Vie Heureuse in 1933. 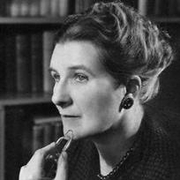 Stella Gibbons was elected a fellow of the Royal Society of Literature in 1950. She published her last novel in 1970 but continued to write for her own pleasure. Stella Gibbons is currently considered a "single author." If one or more works are by a distinct, homonymous authors, go ahead and split the author. Stella Gibbons is composed of 4 names. You can examine and separate out names.